The Dawn Mayfair edition is as unique as it gets. This very special car features a number of bespoke touches, which among other things include the world's first Dawn copper dashboard and embroidered tread plates that read: "Special Commission - Mayfair Edition One of One." The car was designed by the Rolls-Royce Motor Cars London team, who drew their inspiration from the world of high-end horology. It was built at Rolls Royce's Goodwood headquarters, and it's now been made available to view at H.R. Owen's Berkeley Square dealership in London. The Dawn copper theme is prevalent throughout the car, with an exterior colour of Berwick Bronze and copper also adorning the audio speakers and bullets on the Arctic White seats. 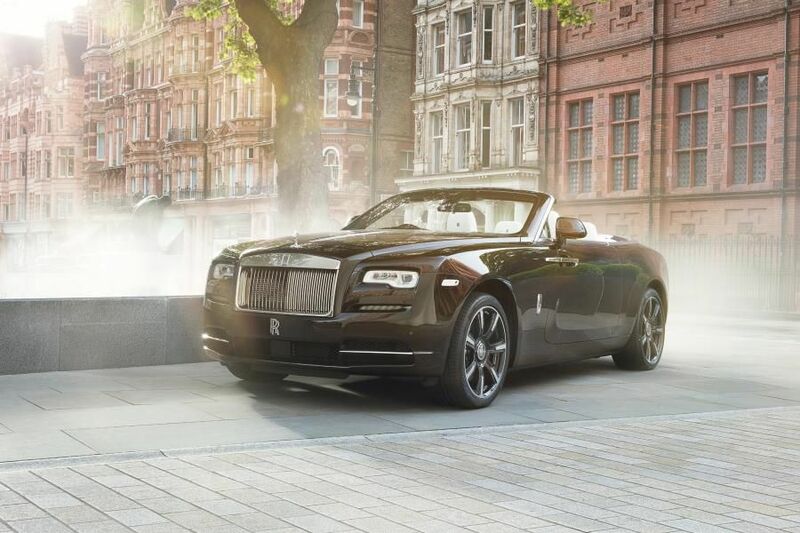 Rolls-Royce Motor Cars London is the flagship dealership of this most exclusive of British auto brands, and the dealership a real mainstay of the exclusive Mayfair area of London in the heart of Berkeley Square. H.R. Owen's association with Rolls-Royce now dates as far back as 1932, although the dealership enjoyed its most successful year ever just last year in 2016. Rolls Royce Brand Director, Claus Andersen, said of the unique special edition, "We are delighted to welcome this ultra-rare car to Rolls-Royce Motor Cars London, appropriately on an anniversary year for the dealership. Our clients value exclusivity very highly indeed, and in this 1 of 1 Dawn Mayfair Edition, we have one of the most exclusive models ever built by Rolls-Royce. The success of the Berkeley Square showroom has put us in a position to be able to offer such a stunning car, and we're excited to find its very lucky owner."